The best week nights are the ones you can pull out a freezer meal and have dinner ready in minutes. I found this true a few nights ago when I wasn’t feeling well and needed a miracle to happen in my kitchen. HA! I’m sure any mom can relate to this dilemma. 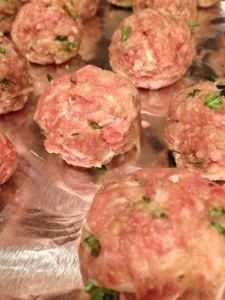 Below is a great recipe for freezer friendly meatballs I found from RecipeGirl.com but you can make up meatball mixture using your own favorite recipe if you have one. Also, make sure you check out our Sweet and Sour Meatballs for another great recipe! 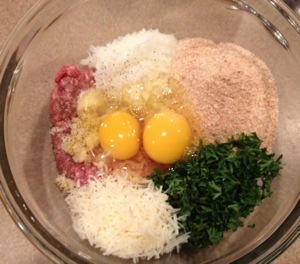 For the meatballs… they are a simple combo of ground beef, garlic, fresh parsley, eggs, Parmesan cheese, breadcrumbs, salt/pepper and a splash of milk. Form them using an ice-cream scoop; place in a single layer on a greased baking sheet. 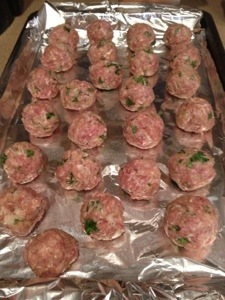 Place sheet with meatballs in freezer for approximately 30 to 40 minutes. 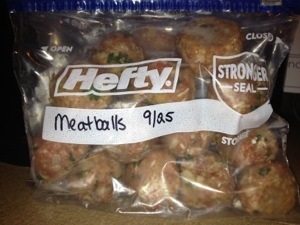 Transfer frozen meatballs to labeled freezer bags, and freeze. 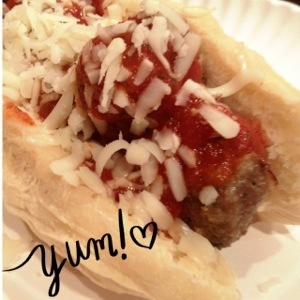 On cooking day, brown meatballs toss them in marinara sauce and top a pile of freshly cooked noodles with them, or stuff them into a roll to create a meatball sub sandwich with melted mozzarella. Make your own hot dog buns by going here! Enjoy!